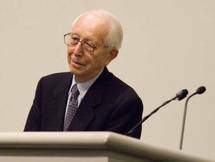 Fumihiko Maki (槇文彦, Maki Fumihiko) (born Tokyo, September 6, 1928) is a Japanese architect and currently teaching at Keio University SFC. 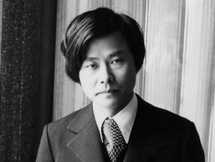 After studying at the University of Tokyo he moved to the Cranbrook Academy of Art in Bloomfield Hills, Michigan, and then to Harvard Graduate School of..
Kisho Kurokawa (黒川 紀章 ,Kurokawa Kishō) (April 8th, 1934 – October 12th, 2007) was a leading Japanese architect and one of the founders of the Metabolist Movement. 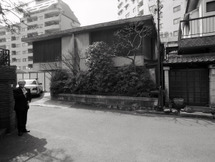 Born in Kanie, Aichi, Kurokawa studied architecture at Kyoto University, graduating with a bachelor's degree in 1957. 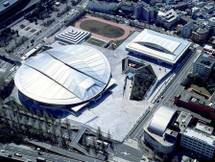 He then attended..
Tokyo Metropolitan Gymnasium was originally built in 1954 for the World Wrestling Championship, it was also used as the venue for gymnastics events at the 1964 Summer Olympics. 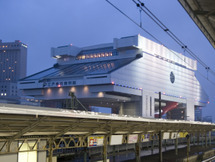 It was was rebuilt to a futuristic design created by Pritzker Prize winner Fumihiko Maki and completed in 1991. 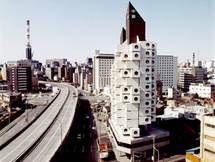 The Nakagin Capsule Tower (中銀カプセルタワー, Nakagin Kapuseru Tawā) is an eminent building of the Metabolist Movement by Kisho Kurokawa located in Shimbashi, Tokyo, Japan. It is a mixed-use residential and office tower. 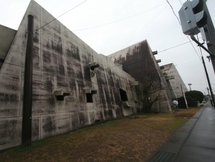 Completed in 1972, the building is a rare built example of Japanese Metabolism, a..
Kiyonori Kikutake (菊竹清訓, Kikutake Kiyonori) is a prominent Japanese architect known as one of the founders of the Japanese Metabolist group. 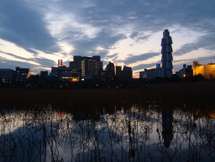 He has also been the tutor and employer of several important Japanese architects, such as Toyo Ito and Itsuko Hasegawa. 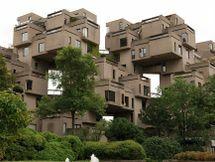 Kikutake was born in 1928 in..
Habitat 67 is a housing complex and landmark located on the Marc-Drouin Quay on the Saint Lawrence River in Montreal, Quebec, Canada. 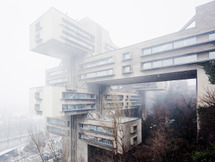 Its design was created by architect Moshe Safdie based on his master's thesis at the McGill University in Montreal. It was built as part of the World Exhibition.. 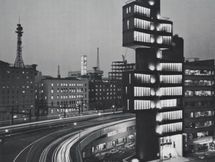 In honor of what would have been Kenzo Tange’s 100th birthday, AD Classics presents one of the Japanese master’s most iconic..
Altough not as famous as Kisho Kurokawa’s emblematic Nakagin Capsule Tower, the ominous New Sky Building (aka Sky Building No.3; or Warship building) designed by Yoji Watanabe is one of the jewels from the Metabolist movement. 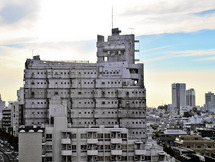 The building completed in 1972 in Shinjuku features..
Yoji Watanabe was born 1923, in Joetsu. 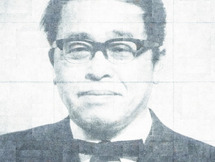 The son of a long line of carpenters, Watanabe defied his father and enrolled at the Takada College of Technology, where he studied until 1941. 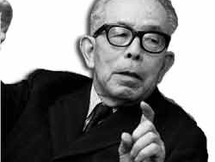 Which was followed by working at the Nihon Steel Group until 1947, he was then hired by the architectural firm.. 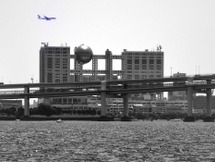 The complex was characterized by an enormous space lattice: numerous rectangular cores soaring up and lifting gigantic horizontal trusses of similar formation,..
Otani’s design won the major competition, for which there were almost 200 entries. 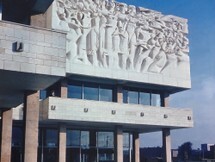 The building has an unusual hexagonal framework, resulting in few vertical walls or columns. 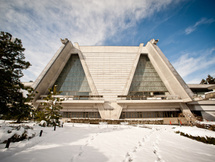 The conference centre has a trapezoidal shaped base. The shape is repeated on different scales and thrusts throughout the..
Mishima is the sister city to Pasadena, hence the name of this area, Pasadena Heights. The area has been developed as an district of vacation houses in a heavily wooded region an hour or so by train from Tokyo. 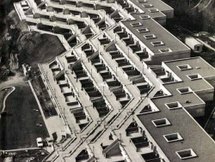 Kikutake's project present 150 terraced dwellings which roughly follow the contours of..
Kunio Maekawa was one of the masters of architecture of the post-World War II period and is considered the father of the new Japanese architecture. 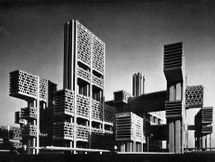 He studied architecture at the University of Tokyo, after getting his graduate degree in 1928, he traveled to Paris to work with Le Corbusier where.. The initial design of the university campus in Kiev's Teremky neighborhood is associated with the architecture of Japanese metabolism – blocks, different in form and function, are integral elements of a common structure. By linking up with each other they can be expanded as required, forming a..
Kenzo Tange created a crystalline internal space by opting for polygonal wall structures. The powerful concrete volumes are also an hommage to the cliffs on the coasts in the region. 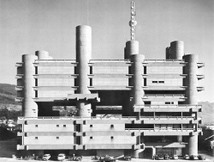 Here, concrete seems to be a “second nature”.